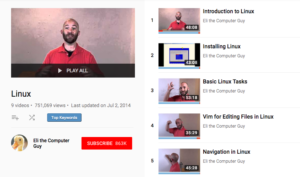 Linux tutorials are all over the Internet. Here are a five of my favorites for beginners. I present different formats, because we all learn differently. There are books, courses, web sites, and combined media. 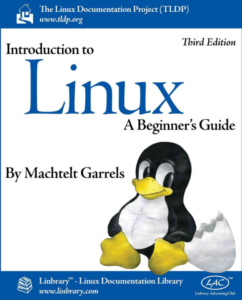 #1 Introduction to Linux, A Beginner’s Guide, by Machtelt Garrels (Tille), The Linux Documentation Project (tdlp). Clicking on the image takes you to a .pdf version of the Guide. The web version starts here. The .pdf version is entitled “Introduction to Linux, A Hands on Guide“, and that name is appropriate. Tille labored hard to provide an excellent, hands on “course in a book” that will get you understanding Linux quickly, even if you’ve never used it before. I list the fact that it’s generic as a pro and a con. It’s a plus, in that the commands she gives should work with any distribution. It’s a negative because you don’t get any direction about which distro to use, or specific instructions regarding that distro. Overall, a great place to start! build sustainable ecosystems around open source projects to accelare technology development and comercial adoption. 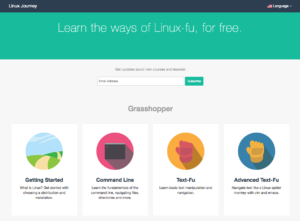 In fulfilling that goal, they want people to understand Linux, so they provide free and paid training. 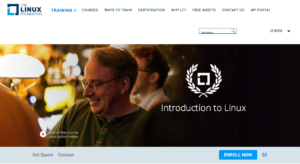 One free course, Introduction to Linux, is made avaiable through the online course retailer, edX. You’ll have to sign up for a free account to access the course. The course gives thorough coverage of three operating systems, including lessons covering the Graphical User Interfaces (GUI’s) for CentOS, OpenSUSE, and Ubuntu Linux in the form of text based and video lessons. The Linux Journey presents information in the form of a Learning Management System (LMS). LMS’s are systems designed to make learning modular and permit you to teach any topic with relative ease. It has a modern, clean design, and presents the information in an intuitive way for people who like a self paced reading focused learning environment. It is divided into some high level sections based on the skill level of the student. You’ll often see references to Linux Fu, or Command Line Fu. It’s supposed to relate to the martial art, Kung Fu. Grasshopper for the most basic level, was the nick name for Kwai Chang Kane when he was a student at the Shao Lin Temple in the 70’s televesion series, Kung Fu. Here are the Pro’s and Con’s of this site. If you’re a more online video oriented person, as I am, you may like Eli the Computer Guy’s Introduction to Linux series. Eli talks on the videos, does white board explanations, and shows things in action on the computer. If you like the video format, this course may be for you. 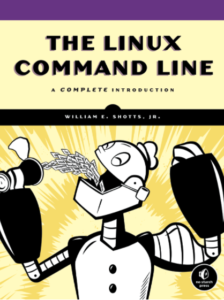 Once you have the basics down from one or several of the courses, sites, or books above, it’s good to get nice and cozy with the Linux command line. If you manage Linux servers, you’ll rarely be managing the actual server via a Graphical User Interface or GUI. Almost all of your work will be done at the command line. This book provides an excellent command line foundation. You’ll eventually find much of the information in many of the formats mentioned on this site as it’s built. Please provide input if there are topics you’d like to covered sooner. I am including a plug for my paid Udemy course, Ubuntu Linux Fundamentals – Learn Linux Server with Ubuntu, as well as a coupon so you can take it for $24.99 here. List price at the time I’m posting this is $100. Happy learning, and please leave comments on what resources you like! Welcome to Linux Literacy. The place to learn Linux! You’ll find blog posts with places to learn Linux, tips and tricks, and pages with lessons that will set you on the path to Linux enlightenment. Linux is a flexible, stable operating system you can customize to meet almost any conceivable need, from running the computers in your car, to your smart watch or smart phone, to your smart television, to your web server, or your laptop! There are distributions or distro’s for almost any need, and if you have a need that isn’t filled, you can make your own! 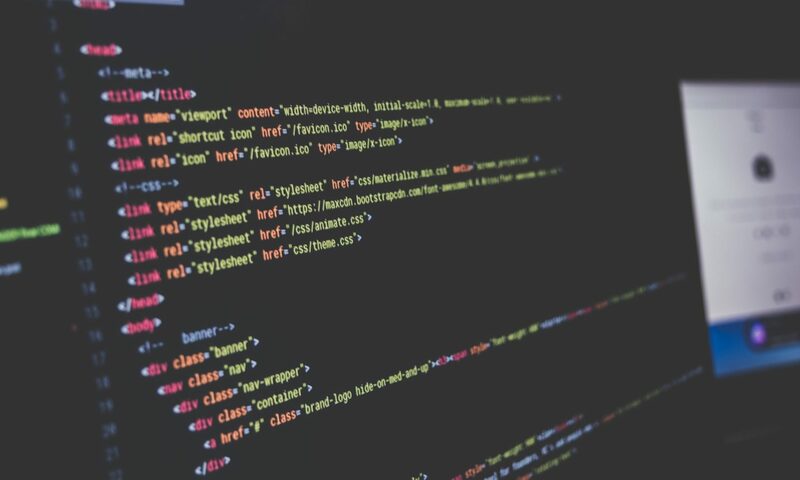 Linux is open source, meaning you can always view the code behind the scenes that makes your operating system run. If you want to, and have the skills to or are willing to learn, you can tweak the source as you see fit to benefit you, provided what you create is also made available to everyone. Linux is a powerful force in the world and this is your chance to learn to use it!